[vc_row][vc_column][vc_column_text]Are you looking to grow your email list for your business? What about increasing your social following and engagement? Do you want to grow in sales too? If you answered yes to any of these questions then you may want to contemplate another marketing strategy. Should You Host a Sweepstakes? By definition, a sweepstakes consists of prize giveaways where winners are chosen at random. Has your business ever considered hosting a sweepstakes? Regardless of if you have or haven’t hosted a sweepstakes, ViralSweep is something worth looking into. 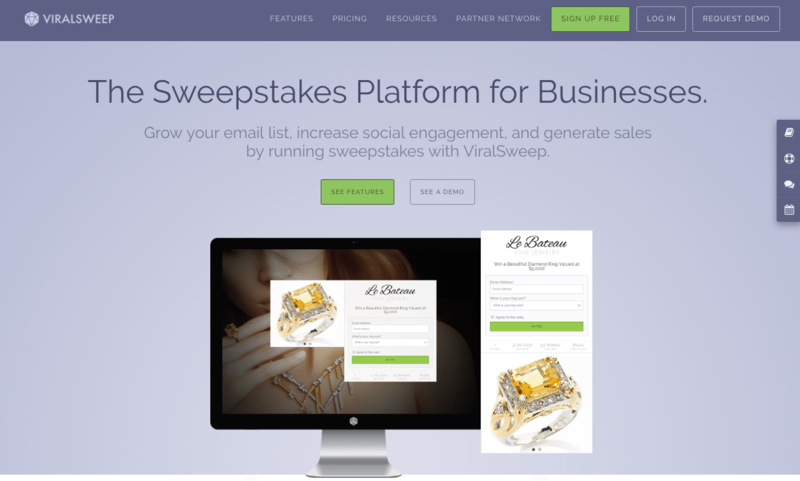 ViralSweep is a platform that allows businesses to create custom sweepstakes and giveaways to run directly on your website. For those that aren’t born programmers like our staff at Simplexity, you can breathe a sigh of relief. ViralSweep does not require any programming skills. In order to promote your sweepstakes, you just need to add a tiny snippet of code to your website. Then people can begin participating in your awesome sweepstakes. With ViralSweep, you can easily build, run and manage your sweepstakes all in one place. ViralSweep is a young company that was founded by Giancarlo Massaro and Steven Kovar in 2012. However, their friendship goes back years prior to becoming business partners. The two met in an online forum many years ago and then continued to communicate online. In the meantime, Massaro started a blog called AnyLuckyDay. Originally the blog was intended for Massaro to review free products from various companies. At the time he was a college student just looking to make a few extra bucks. However, his personal project turned into much more than just a blog. It became a marketing platform where businesses could promote their own products in giveaways. Eventually the platform transformed into what we now call ViralSweep. Sources say that Kovar and Massaro have only met a few times as they live over 2,000 miles away from each other. Kovar is a skilled programmer and web designer and Massaro handles the marketing. So what brought these two strangers together? Some say it was their interdependent skills and others say it was their passion for going above their customer’s expectations in marketing. 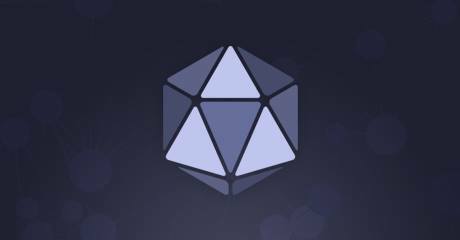 In any case, they have created a flexible platform for businesses to use all over the world. Perhaps chatting with strangers isn’t such a bad idea after all. I bet Kovar and Massaro surely think so. What is ViralSweep Capable of Doing? ViralSweep focuses on running a giveaway specifically on your website. Why just on your website? If you think about it, you don’t own Facebook, Twitter, Snapchat or any other social platform. Your website is yours. It is a place where your customers and perspective customers visit. Potential clients want to learn more about what you do, who you are and what you offer. Your current customers may want to know what other services or products you offer. Your website is where you earn trust and credibility. That’s not to say that social media platforms should be ignored. The founders of ViralSweep still encourage you to use social media but as a means to promote your sweepstakes, not as a host. However, ViralSweep allows you to embed your sweepstakes anywhere. Creating a sweepstakes on ViralSweep does not take more than a few minutes. You can immediately begin collecting data on your audience. The ultimate goal of ViralSweep is to grow your email list, help increase social engagement while generating leads and sales. ViralSweep has a lot of features that are worth noting. Here are some of the features you can utilize. An entrant can share a unique referral link (Refer-A-Friend) with their friends for more entries. How Much Does ViralSweep Cost? ViralSweep offers a variety of plans in order to compensate for the different needs and budgets of businesses. The nice thing about ViralSweep is that they offer a free trial of their service. Once you sign up for the service, you have the option to try all the features with ViralSweep for seven days. Otherwise, you are able to use the free version for as long as you wish. ViralSweep has 4 different plans you can choose from. For more information about the different plans, visit the ViralSweep pricing page. As you might expect, the free version does have some limitations. As far as building the form, you can create your own title and description, add the duration, and the number of winners. Unfortunately, as a free user you cannot include any additional information on your participants, such as name, state, or phone number. You are only given the option to collect email addresses with the free version. You are able to add a variety of images for your giveaway campaign. You can add a logo, multiple product images, and a background image. You can upload multiple product images that will scroll on your form. ViralSweep even has a small image library for you to use. Many probably would prefer to add their own sweepstakes rules but in the case you don’t have the time or don’t a writer, ViralSweep has a rules template for you to follow. You can also add the landing page URL for where your sweepstakes will appear within the form. Do you want participants to get more entries? You have the option for participants to perform certain social actions for more entries. As a free user, ViralSweep allows to select multiple social networks along with the specific action you want them to take (Ex. Twitter has the option to Tweet or follow). ViralSweep only allows a single entry for anyone that uses the free version. If you want the option for daily or weekly entries, you will need to upgrade. Otherwise, participants can only enter one time to your sweepstakes. For those that try to trick the system with one entry, ViralSweep can block entries from the same IP address. Those entries will then be stored in the database as spam or cheating. Why Should You Run a Sweepstakes? When companies run sweepstakes or giveaways, they do so with a purpose and goal. For many, the purpose of sweepstakes is to broaden your audience. Running a sweepstakes gives you the opportunity to reach people you may not have with other marketing campaigns. This could be especially true if you partner with another business for your giveaway. For example, let’s say you are a clothing retail store, you might partner with a specific credit card company such as American Express. Your giveaway could include a $200 American Express gift card that customers can use at your store. Word-of-mouth marketing is also powerful with sweepstakes; it is not just limited to social media. People will begin talking about your business to friends and family members, especially if your giveaway is enticing. However, a word of caution: your sweepstakes needs to be targeted to the proper audience. You don’t want to collect information on people who aren’t even interested in your product/service. You want to draw in the right audience who will eventually become customers. In that same regard, you don’t want your giveaway to be random. Your giveaway should be related to your brand or product you sell. It needs to hold value to both your customers and your brand. However, that doesn’t mean your giveaway has to be expensive. It just needs to create excitement for your giveaway. For example, if you are a jewelry company, you don’t want to have a sweepstakes for people to win an iPad. Instead, you might consider giving away a gift card or winning a pair of black diamond earrings. Your giveaway/prize also goes hand-in-hand with your target audience. Generally, running a sweepstakes has the potential to increase your website traffic; especially if you use your website as the host for your giveaway. As stated earlier with ViralSweep, you can build an email list and increase leads with sweepstakes. You are able to collect data on your audience that will in turn help you serve the needs of your customers. However, your form should only require the entrants to fill out basic information, especially if your entrants have a low chance of winning. The more information you ask for, the less likely people will participate in your giveaway. At most, ask for an email address and name on your form. When you decide to host a sweepstakes you bring awareness to your brand as well as your products/services. People are going to begin talking more about your brand. In the case with ViralSweep specifically, your sweepstakes will bring more people to your social media if you ask for participants to like, comment and share. Therefore, more people will begin following you and engaging on your accounts. They will be curious about your next giveaway too! Furthermore, sweepstakes are cost-effective for many businesses, which is why it is such a popular marketing strategy. Hosting a sweepstakes is a good way to put your business in front of a large audience. Whether you are interested in ViralSweep or another sweepstakes platform, perhaps your business should consider running a sweepstakes as a marketing strategy. Has your business used contests and giveaways in the past? If so, what kind of success did you have? Should Your Brand be Storytelling or Storyscraping?